Last Wednesday and Thursday were the two most hectic yet meaningful days for Pott Glasses this year. Since it was in conjunction with World Vision Day 2017 which was scheduled on this week, we had a lot of activities and work to be constructed. On Wednesday, we went for a radio interview with AiFM to raise awareness about eye care in honor of World Vision Day 2017. Undeterred by which it meant to have to wake up early and getting stuck in the traffic, we viewed it as part and parcel of our job, a calling from our inner heart to share about eye care with the public. When we first received the invitation from the radio, we have this wavering thoughts whether we actually fit for such a huge honor. Nevertheless we perceived it as a challenge to voice out to the public on the fundamental issue regarding eye care which is usually neglected. Many of us took our eyes for granted. We pay less attention to it but not as much as towards our health while the fact is both of them need equal amount of respect, care and focus. 8 consecutive hours on digital devices, bad reading habit of under low light condition and smoking are just few of the bad routines which are actually detrimental to the eyes. In the interview we deeply conversed on vision impairment such as glaucoma, macular degeneration and also vision disorder where extra care need to be attended in order to fully combat them. We also gave out advices on healthy food and lifestyle that should be practiced. It turned out the outcome of the interview went beyond than we expected. 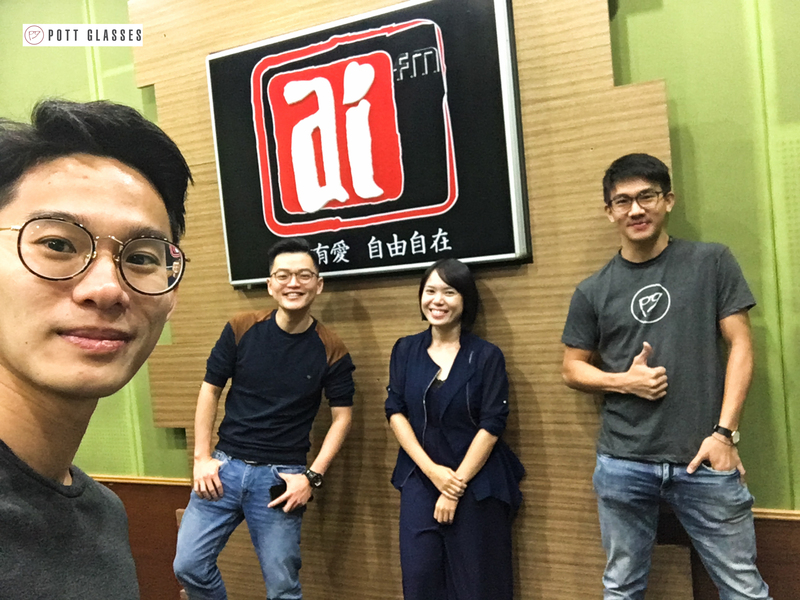 We received quite a number of phone calls after the interview, which literally meant that we had achieved our objective through the talk. The feeling is rather, very fulfilling. The next day is the actual day of World Vision Day. 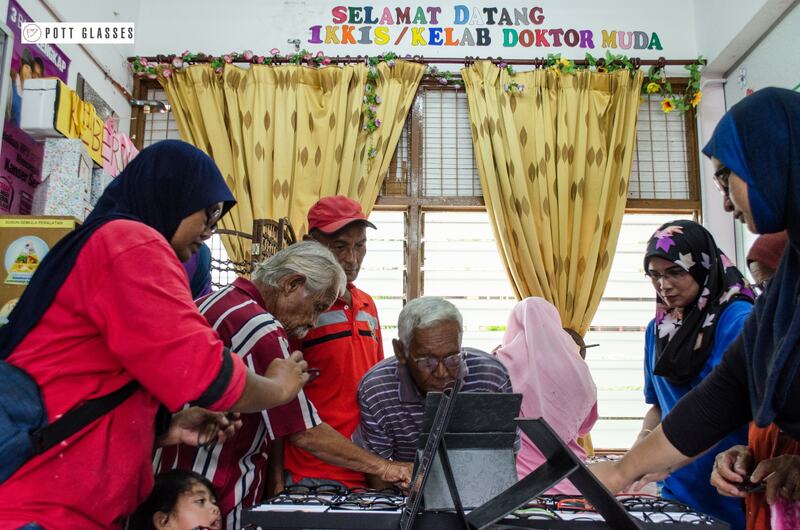 We held a collaboration with Pejabat Daerah Dan Tanah Seremban to provide eye check to the school students and underprivileged community in Mantin, Negeri Sembilan. Named as “Program Jom Bantu Rakyat – Cermin Mata Percuma 2017”, it led by Puan Marhizah. We were informed about the named program a week before. We had done a similar program in the past but what really strikes me this time round is how poor is the eye sight of the elderlies and how they are badly unaware about their deteriorating eyesight. There was this lady in particular that endlessly caught my attention. When she staggered in with her current glasses on, I could barely exchange an eye contact with her. Since it was because she wore a high power lens that resulted in high refraction which consequently overlay the eyes, making her eyes to appear much smaller. It turned out that her power is more than -20.00 or two thousand in layman term when I performed auto-ref scan. Just to give a reference of how high the power is compared to the norm, normal short sightedness ranges from -1.00 to -8.00. Clearly -20.00 is way out of the chart. To make things worse, her visual acuity was way too below the benchmark. Visual acuity is one perimeter that I emphasized a lot in performing eye test. 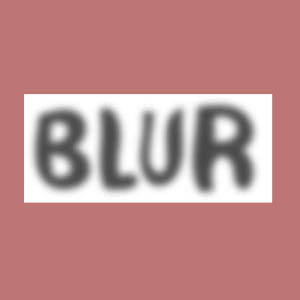 Basically it is a benchmark of measuring clarity, 1.0 being the perfect eye sight and anything below will make the sight blurry. Her vision with current glasses is only 0.1, that is 10% of the perfect eye sight. My job is to make sure that her vision is sharper than before. After a long session of subjective refraction, I only managed to push it to 0.3. Looking at her, I reflected a lot; without program like this she might hardly get her eye examined, not to mention getting a new pair of glasses since it would be extremely expensive to match her power. She is one of the reason why we are actively trying to reach out for the underprivileged in the suburb community. I couldn’t thank enough the parties for such a meaningful initiative. 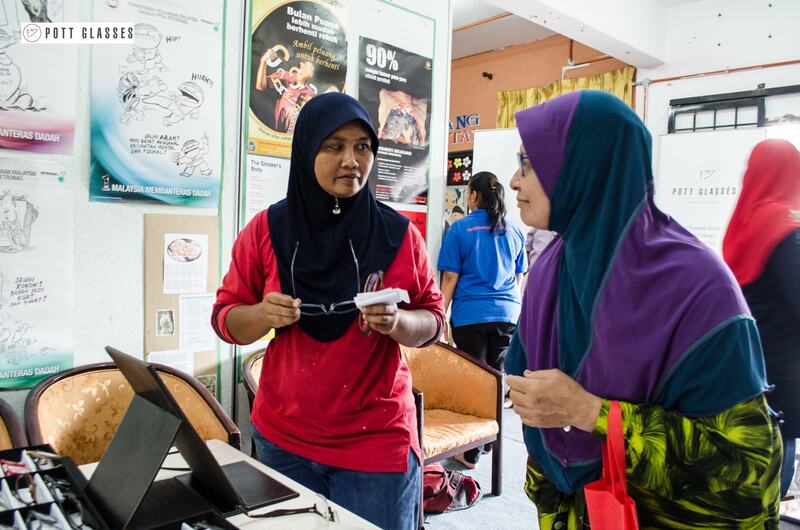 This lady will definitely get a better vision because of the program. 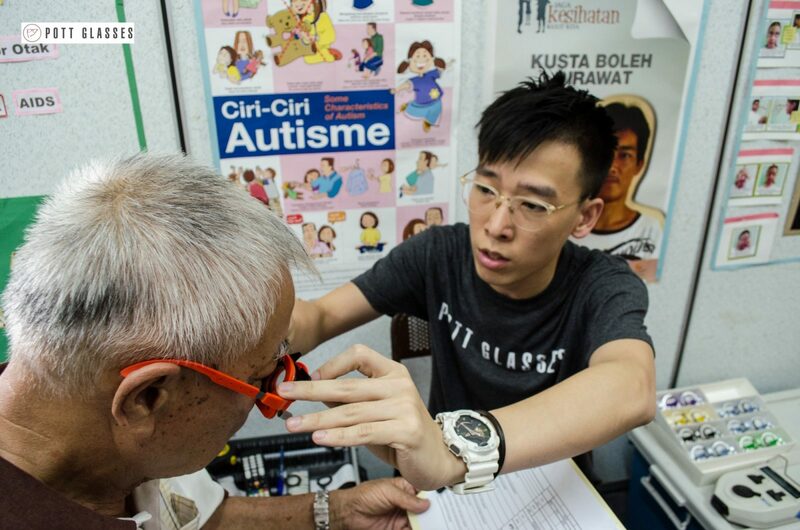 The eye test program started at 9am and ended at 5pm. 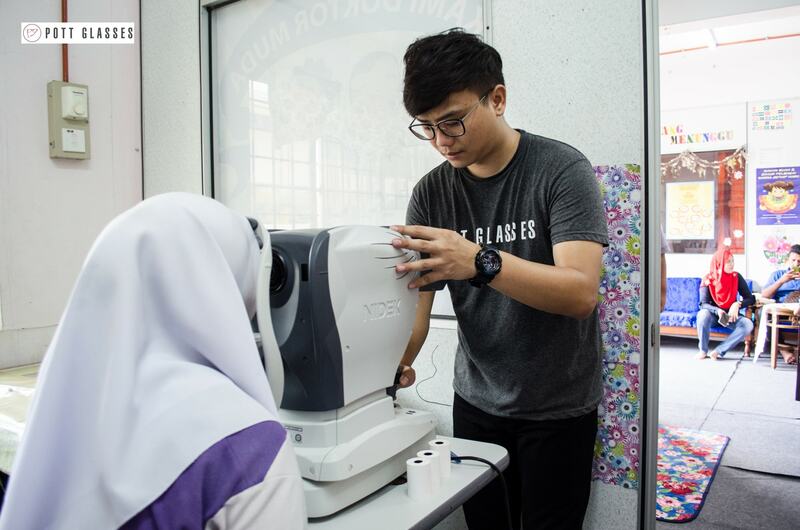 Together with my team and the help from Pejabat Daerah dan Tanah Seremban and SMK Mantin, we were able to perform eye test for over 80 students. Out of that, 72 of them were confirmed needed glasses. These two days really made me sat down and analyzed a lot about my job as an optician. The contentment to be able to help those with eyesight difficulties is like no other. We sometimes are too occupied with wanting to rapidly grow our business that we forget the true purpose of the business. I would like to thank all the parties for engaging us and allowing us to improve the living quality of others by improving their vision. And this has always been Pott Glasses’ mission. Find out more about our ONE FOR ONE campaign here. 12th of September 2017 marks a huge milestone for Apple as they launch their most advanced iPhone to date, the iPhone X to celebrate 10 year anniversary since the inception of first iPhone. While everyone is discussing about the infinity screen of iPhone X and the ARkit, we choose to reminisce on the release of first iPhone by the late CEO of Apple, Mr Steve Jobs. Steve Jobs came up with his iconic rimless round glasses that portray image of creativity; pair with infamous black shirt and jeans, he hold the iPhone highly to showcase the breakthrough of Apple products that then later lead to many more breakthroughs in the next 10 years. He is the guy who changed how we use our hand phone. He was able to visualise how phone should look like even when there is nothing close to actual product back then. He has the vision, the creativity, and more importantly the convincing power to make all of us believe in in his vision. Many must have read how he made sure the launch of iPhone a success even though there were flaws with the actual unit. How he swapped few phones and confidently demonstrated and sell the vision. 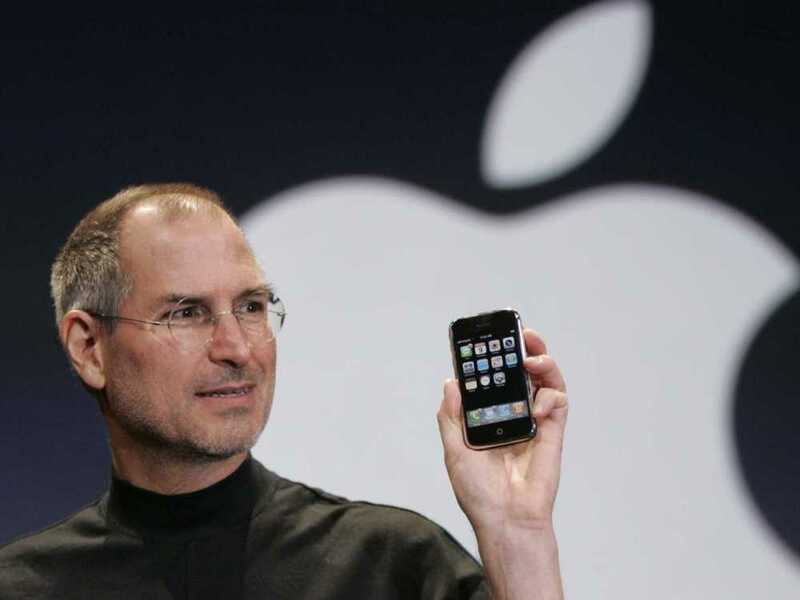 From the first iPhone to introduction of iPod and iPad, Steve had done great work in revolutionising how consumer technology products work for us. In conjunction with the release of iPhone X, we are releasing the “Steve Jobs Glasses“. Comes in perfectly round shape, the rimless glasses made from polycarbonate lens is impact resistant. Besides, the memory metal leg is so durable and light that feel like virtually nothing is placed on the face of wearer. The infamous Steve Jobs Glasses has no nose padding as it rests well on the nose bridge. However, here in Pott Glasses, we put a lot of attention on fitting and comfort of wearing glasses. Our version of Steve Jobs Glasses come with nose pad that is adjustable to sit nicely and comfortably on wearer’s face. The glasses will be made available from now till 31st of October 2017. Grab one now starting from RM 555. This article gives readers an overview of famous Malaysian icons and their Malaysian glasses trend. It is time of the year again, the time when exactly 60 years ago, Tunku Abdul Rahman chanted “MERDEKA!” three times at the Merdeka Square, signaling Malaya’s independence from the British colonization. It is a significant day for all Malaysians, and we should all take a moment to appreciate and be thankful of the effort of our forefathers who fought hard for the people to be free of colonial powers. Here, as an effort to celebrate the most important day for all Malaysians, I will share my list of 5 Malaysian icons that I am proud of, and, who wear glasses! These people are an inspiration to a lot of us, their achievements are well-know and have successfully carry the good name of our nation internationally. Michelle was born in Ipoh and moved to the United Kingdom at the age of 15 where she studied ballet at the Royal Academy of Dance. She did not give up when an injury hindered her dream of becoming a ballet dancer, instead, she got herself a degree in creative arts minoring in drama. Her resilient spirit eventually made her who she is today. At age 20, she won the Miss Malaysia Beauty Pageant and continue on to represent Malaysia at the Queen of the Pacific 1983 (which she won again) and Miss World 1983. From there on, her career as an actress blossomed. She got the chance to appear in a commercial alongside Jackie Chan, and eventually landed acting gigs with D&B Films in Hong Kong. Her acting career started with action and martial arts movies. The remarkable thing about Michelle is, despite having no martial arts background, she did a lot of the stunts by herself! And her hard work sure paid off! 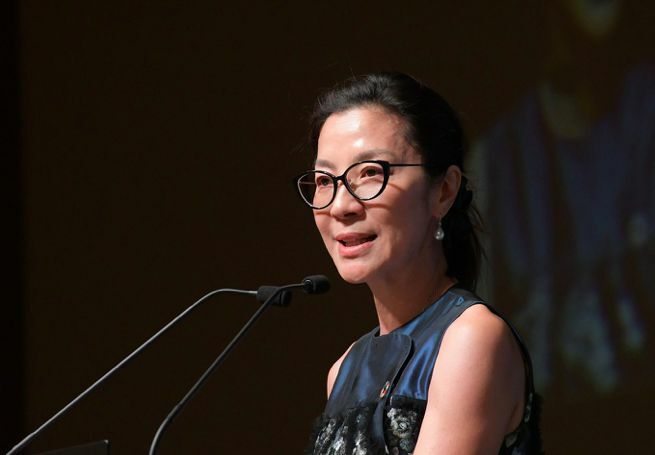 Her role as a bond girl in Tomorrow Never Dies and Crouching Tiger, Hidden Dragon brought her fame to the international level. Jimmy Choo shoes are like the holy grail of shoes, not many of us are lucky enough to own a pair because they come at a hefty price. Dato’ Jimmy was born in Penang into a family of shoe makers, and was taught by his father the wonderful skill of shoe-making. 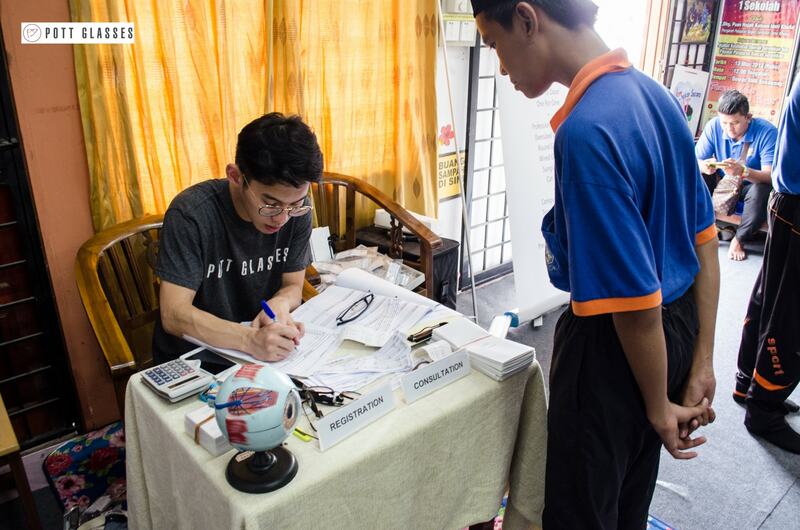 To help support his college tuition fees in England, Dato’ Jimmy worked as a part timer in restaurants and as a cleaner in a shoe factory. After graduated with honors, he remained in England to further his dream as a shoe-maker. In 1986, he successfully opened his first shop which soon gained attention in the fashion industry. Vogue featured his exquisite designs and craftsmanship in a full eight pages of the magazine. The late Princess Diana seemed to adore his shoes so much, that she was always seen with a pair of Jimmy Choo’s. 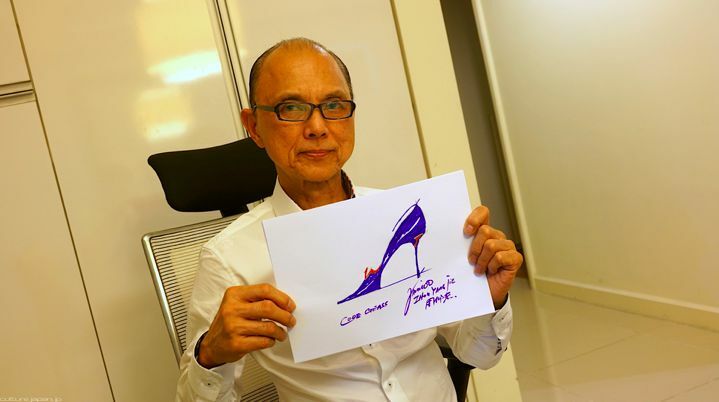 What is admirable about Dato’ Jimmy Choo is that, he has a firm stand on his beliefs and motto. Despite eventually growing his business rapidly by entering into a partnership and diversifying his brand into different fashion accessories like handbags, Dato’ Jimmy had doubts about the shoes that they were mass producing at a factory that time. So, he sold half of the company and returned to his roots of making custom-made shoes in a small shop in London. Though he does not always wear glasses, his love in glasses fashion is reflected in his designer eyewear merchandise. Yuna is Malaysia’s homegrown singer-songwriter. This talented young lass began writing songs at the young age of 14, and even more admirable, she learned to play the guitar by herself too! While attending law school, Yuna did not give up her passion for music. She started performing in shows and events as well as sharing her music online. Soon after her popularity soared online, an indie-pop record label in the US discovered her and ultimately gets her a contract with Fader Label which is based in New York. That opened up a window that allowed her music to reach a greater audience. In 2012, her single Live Your Life produced by Pharrell Williams was debuted on iTunes. It served as an introductory to her first self-titled full length album. She was often dubbed “Pharrell’s protégé” because of this. Since then, there is only success for Yuna. Her latest album Chapters made it into the Billboard Top 10 Best R&B Album of 2016. 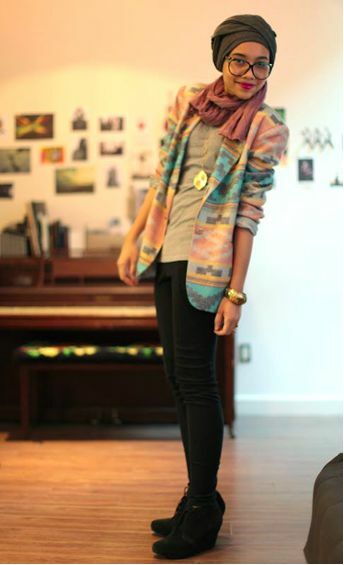 Yuna’s music is often soulful, as if she is trying to speak to you through her songs. All thanks to Yuna’s persistent in including the elements of melody and meaning to her songs, she refused to give into popular genres nowadays which seem to have forgo these crucial elements which define good music. No one can ever talk about inspiring Malaysian icons without mentioning our Father of Malaysia and our first Prime Minister Tunku Abdul Rahman. Without him, there will be no Malaysia, and maybe even no you and me. 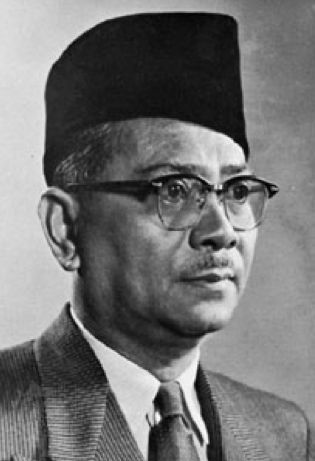 Tunku Abdul Rahman was born in the royal family of the Kedah Sultanate in 1903. 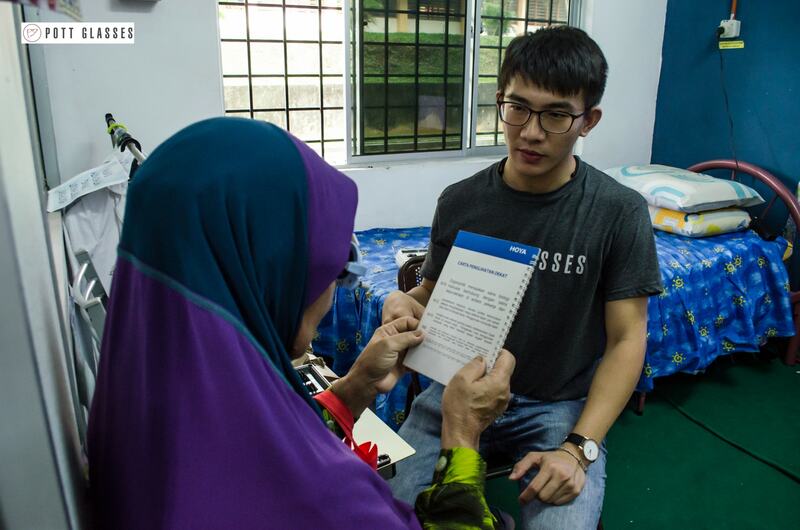 After graduating from Cambridge, he returned to Kedah where he served as a civil service cadet, doing what he enjoyed doing, which is to help the people with their problems. His political career started when he was appointed the president of the United Malays National Organization (UMNO), which ultimately formed an alliance with the Malayan Chinese Association (MCA) and Malayan Indian Congress (MIC). Ultimately, in 1956, Tunku Abdul Rahman headed a mission to London to negotiate for Malaya’s independence from the British. The negotiation was successful and Malaya was granted its independence by 31st August 1957. As Tunku Abdul Rahman believe, unity between the different cultures is an important key in achieving a better nation. This believe holds true even till today, where there should not be any division between races, there should be only ONE Malaysia. From there on, Tunku Abdul Rahman leaded the nation as its first Prime Minister and the rest is history. Served as the fourth Prime Minister of Malaysia, Dr. Mahathir is no unusual name to all Malaysians. In fact, he was the Prime Minister that served our country the longest, from 1981 to 2003. Dr. Mahathir started out as a medical doctor. He later joined UMNO and eventually got into the Parliament and becoming the Prime Minister. Since then, the man has made tremendous contributions to our nation’s development, he is not known as “Bapa Pemodenan” for no reasons. 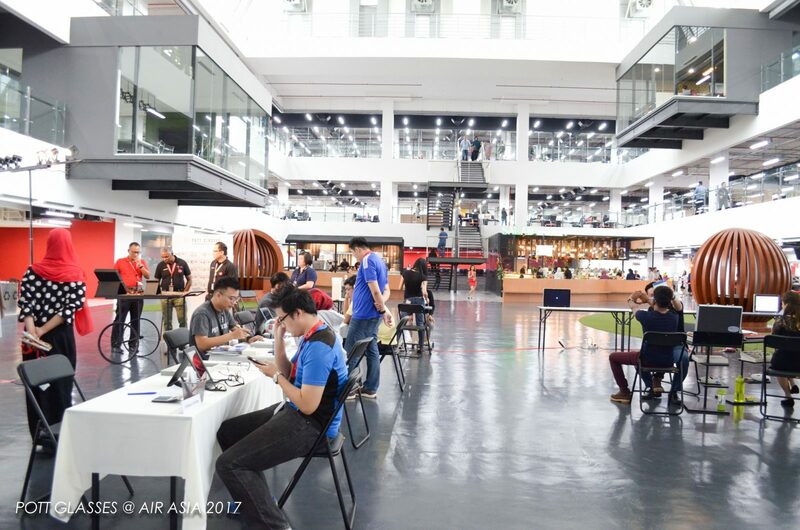 He had successfully turned Malaysia from a country that relied much on agriculture into a country that thrive in trading and high tech industries. Among that, he established the Multimedia Super Corridor (MSC) and initiated the National Car Project, which was given the name “Proton” subsequently. Dr. M’s other large scale projects include the construction of the north-south highway, which took more than 10 years to complete. The highway cut down the time to travel in Peninsular Malaysia tremendously. Other notable projects of his are like the port of Tanjung Pelepas, Petronas Twin Towers, KLIA, Formula One Circuit, and the list goes on and on. 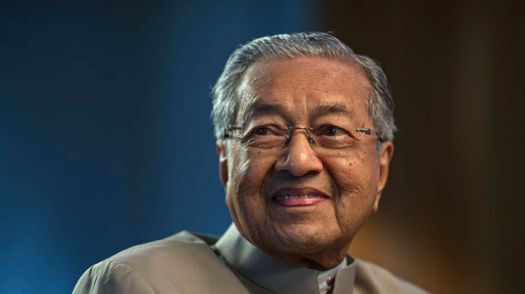 Sure, a lot of people might have mix feelings for Dr. M, but his contributions to the greater good of the entire nation are undeniable. 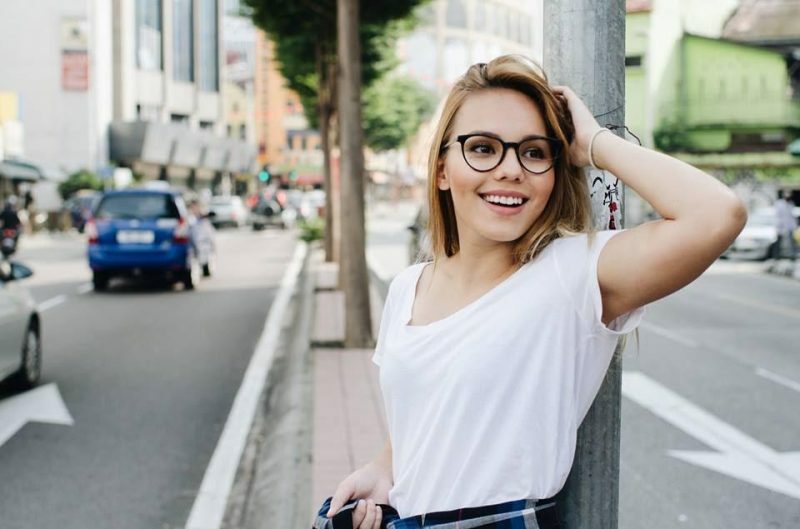 Famous Malaysian Icons And Their Glasses Trend! 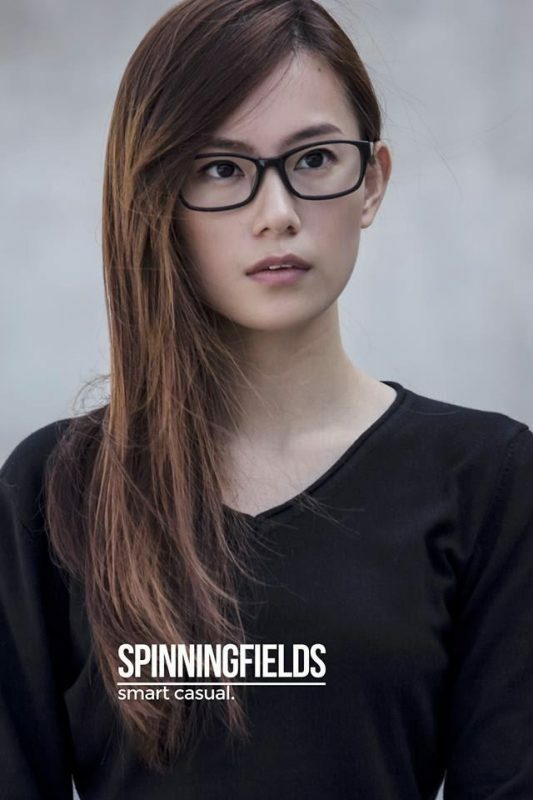 My list of Malaysian Icons that wear glasses and makes me proud. Time to come up with a list yourself! Specs or no specs, which Malaysian icon makes YOU proud? Do glasses make you look smarter in an interview? The debate is over, peeps! Wearing glasses DO make you look smarter! You lucky people with a perfect vision, it’s time to get yourself a nice frame to fit in with us! For once, the stereotype of people wearing glasses being more intelligent might not be so wrong after all. Lots of studies actually finds people who wears glasses are perceived to be smarter and more professional than those who don’t. Intro Question: Do Glasses Make You Look Smarter? If you think harder on it, you will find that it isn’t very hard to understand where this stereotype came from. For most young people, the need to wear glasses is often because of short-sightedness. Like what we had mentioned in this article before, short-sightedness is caused by doing extensive close visual work, like reading. Let us put aside TVs and smartphones being the cause for a moment, as we don’t have those back in the days right? So yeah, those people who does a lot of reading are more likely to be smarter than those who don’t. Adding to the point, back in the days when glasses are not readily available to anyone and is often seen as a luxury, only those who need to see meticulous details will opt to wear glasses. So, generally, those with a profession with high regards such as doctor and banker will definitely need glasses more than those with common professions. Do wearing glasses make you look smarter in an interview? A-third of the participants think that people who wears glasses appear to be more professional. 43% of the participants believe people look more intelligent with glasses. 40% of the participants will consider wearing glasses even if they don’t need it just to increase the chances of landing the job. 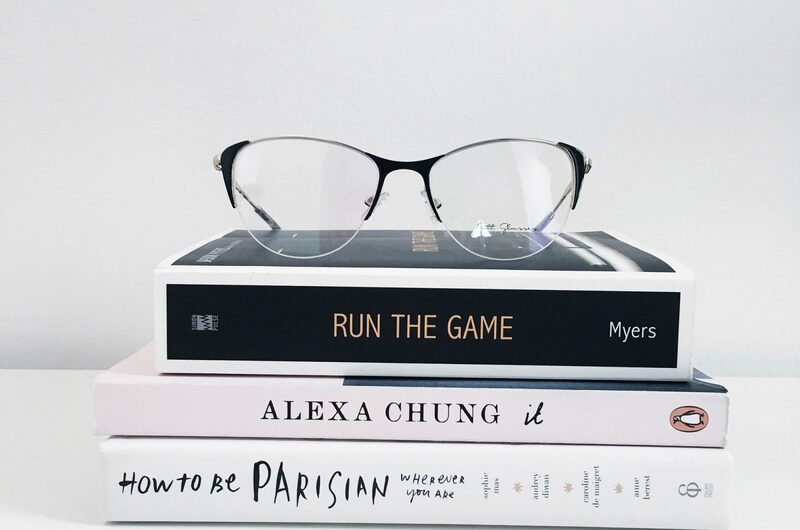 Now, you know that glasses makes you appear smarter, it is time to choose some frames that bring out the best in that, looking “hot, trendy smart” rather than “nerdy smart”. When you want to look smart and professional, you might want to avoid glasses with funky colors or have bold patterns, and go for something more sophisticated. Here we had gathered up some of the styles that will deliver that “smart-stylish” look well. The below are styles of glasses that enhance the way you look in a smarter and more attractive way. Thin frames are not only trendy right now, but also do the part just right as if offers a minimalistic, clean, sleek look. You can’t go wrong with so little material on your face. Use this type of frame if you are a more “toned-down” person and want to show your features more. Check out styles like Dacorum and Bexley to achieve this look. Quite the opposite of the above, thick frames really make a statement. The rectangular ones are a more traditional choice but still allows the wearer to exude sophistication. You can go either all black like one of our flagship model Spinningfields or play a little with subtle patterns, just like Sandwell with a little hint or tortoise shell and Cherwell with wooden finishing. Another popular trend are these vintage looking beauties, which means another way of looking smart while staying trendy! And what’s better? This shape of glasses instantly up your glamour game with minimal effort. For the ladies, you can opt for Clubround which is kind of a more subtle version of the cat eye, while for the men you can go for Clubmaster with a little more masculinity. 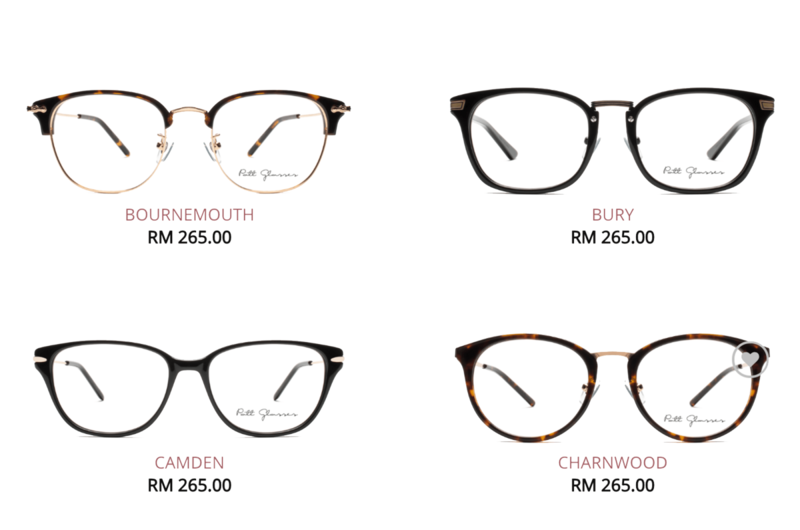 Go for Harrow for Clubround and Trafford for Clubmaster. It’s there, but it’s not there? 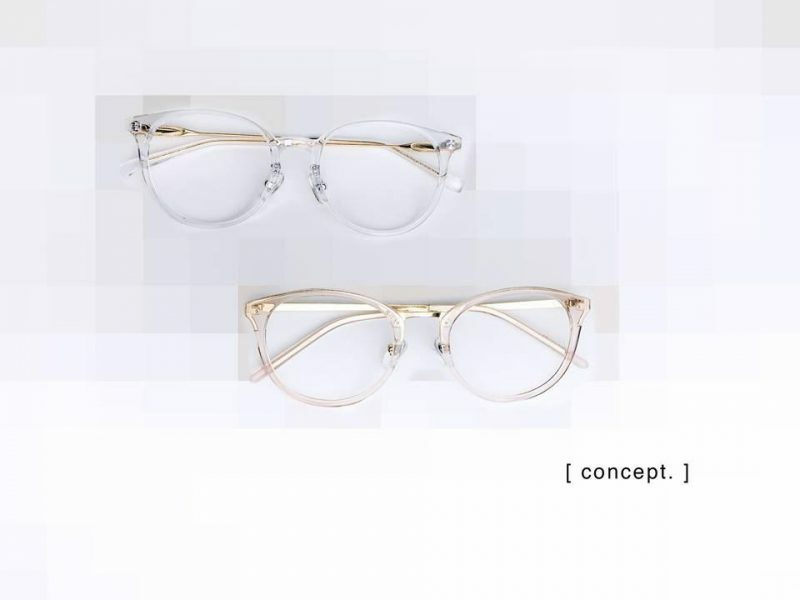 Transparent frames will make people wonder. 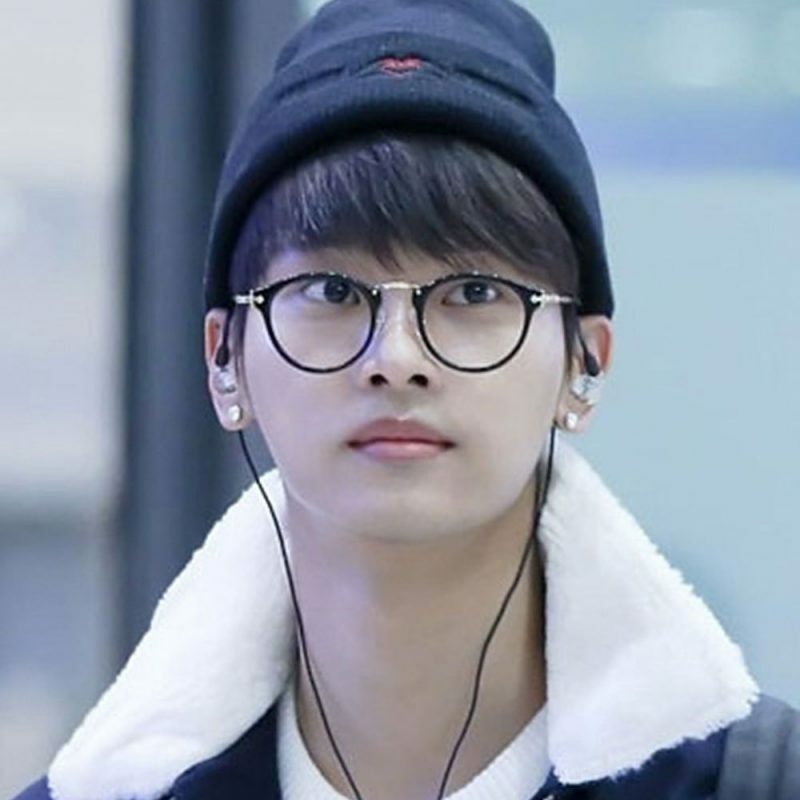 Unlike its former counterpart, the rimless frame (which to be honest isn’t really popular among youngsters right now), transparent frames doesn’t try to hide the fact that you are wearing glasses, but instead gives and extra edge and specialty to it. Verdict : Do glasses make you look smarter, but less attractive? There you have it folks, our suggestion on how you can play with a little psychological fact to better your image. Feel free to drop by our stores and try on our glasses! You will never know which pair of glasses will make you look smarter until you explore our huge variety of glasses. If you need recommendation based on your profession and face shape, we can help you on that too! Get RM35 discount by making appointment with us! Online shopping, definitely a familiar term to modern day people. We can buy almost everything online, groceries, clothes, electrical appliances, and the list goes on and on. But, have you ever considered buying glasses online? I bet most of your answers is NO. Why? Because getting a pair of glasses is one of those things that requires more of a “personal touch”, and a great element of customer service goes with it. i) round-shaped, ii) square-shaped, iii) heart-shaped, and iv) oval-shaped. Now, go look into the mirror and determine which category that best describes your face. Then, you can follow this general guide on how to choose a pair of glasses based on your face shape. Other than the style of the frame, you might want to consider the size of the pair of glasses too. So remember to check out the size specifications of the glasses when buying online. If you are still hesitant which shape to go for, you can always go to your nearest eyewear retailer, preferably those with an open concept where you can just try on the glasses on display, decide which shape of glasses best suits you, and then go back to your desired designer online and choose that shape. SPH/Sphere: the spherical error that is needed to rectify short-sightedness (-), or long-sightedness (+). The higher the number, the stronger is your prescription. CYL/Cylinder: it is needed to correct astigmatism which cause distorted images. Most people have a reading between 0.5-0.75. If you have a reading more than 1.5, it is when you will need prescription lenses to correct it. AXIS: is a degree, between 0 – 180, of where the astigmatism is located on your cornea. ADD: which is the additive power if you go for a bifocal lenses. It is added to the lower part of your lenses. PD/Pupillary Distance: the distance between your pupils. Having a PD reading will allow your lenses to be placed at the most ideal spot. Find out how to measure your PD here. PRISM: it is used to rectify double vision and ease eye strain by tricking the brain into thinking the eyes are working well together. Single-vision lenses: which only have one power and is the most common type of lenses for short/long- sightedness and astigmatism. Bifocals/multifocals: have two or more power which allows you to see both near and far objects clearly. Progressive lenses: it is a more advanced version of bifocals/multifocals. It allows a smooth transition for the user to see objects in the far, intermediate, close, and anything in between. Standard plastic lenses (CR-39): lightweight and economical, however, it might not be suitable for people that requires a high prescription. Polycarbonate: more durable and impact-resistant. It suits children and people with an active lifestyle. High index lenses: which can be either 1.56, 1.6, 1.67, or 1.74, the higher the thinner the lenses. Blue light lenses: this coating protects your eyes against harmful rays from your digital devices. UV protection: as its name suggest, this coating blocks UV radiation from reaching your eyes. Light-adjusting coating: this lenses change its degree of tint depending on the amount of light you are exposed to. So it doubles as a sunglasses when you are outdoors. Anti-reflective coating: reduces glare from digital devices and nightlights. 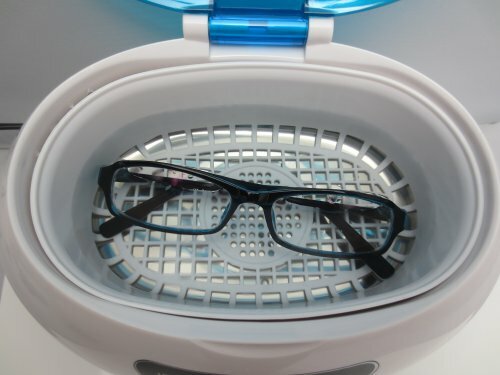 It also reduces reflection of your lenses and thus letting others see your eyes clearly! 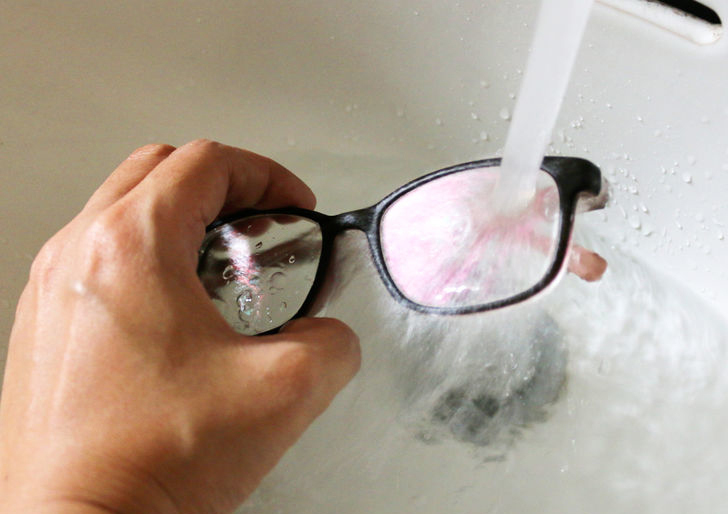 At last, when you are buying glasses online, you will want to have a peace of mind if anything goes wrong. 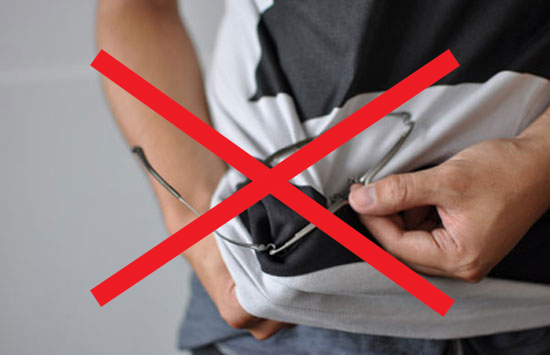 Make sure the glasses that you are buying online has a return policy that allows you to return and get a new pair if what you get is not what you asked for, or if you find it uncomfortable to wear your new glasses. Also look out for warranty period that allows you to get a new pair if certain damage is found within the warranty period. So there you go! Things you should consider and look out for when you are buying glasses online. In this digital age you shouldn’t let distance be an obstacle from getting something you like. Buying glasses online definitely allows you to explore different designers from around to world and how much variety of eyewear they can offer. So go on, explore! We are giving you RM50 voucher now! Fill in the form to claim the discount voucher. Share with your friends too! 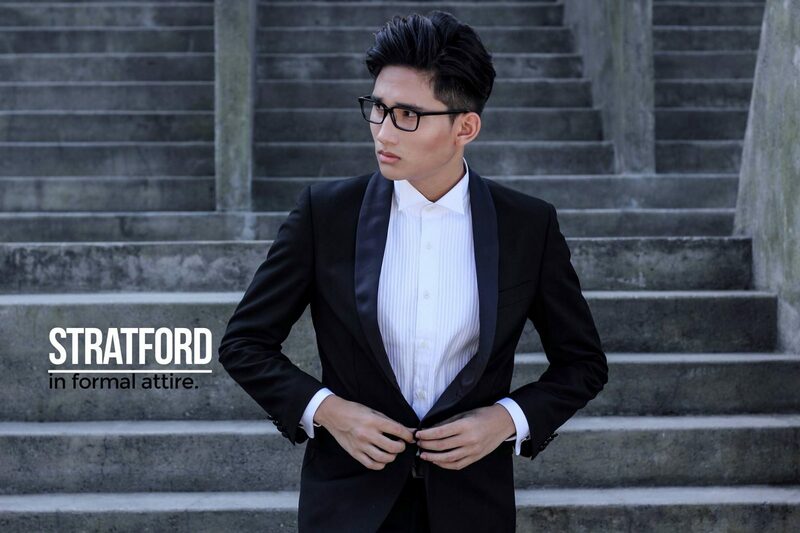 Cat eye glasses is a type of modern eyewear fashion trend in Malaysia. After making its plausible debut in 1950s and 1960s, cat eye glasses successfully regained its fame these days. 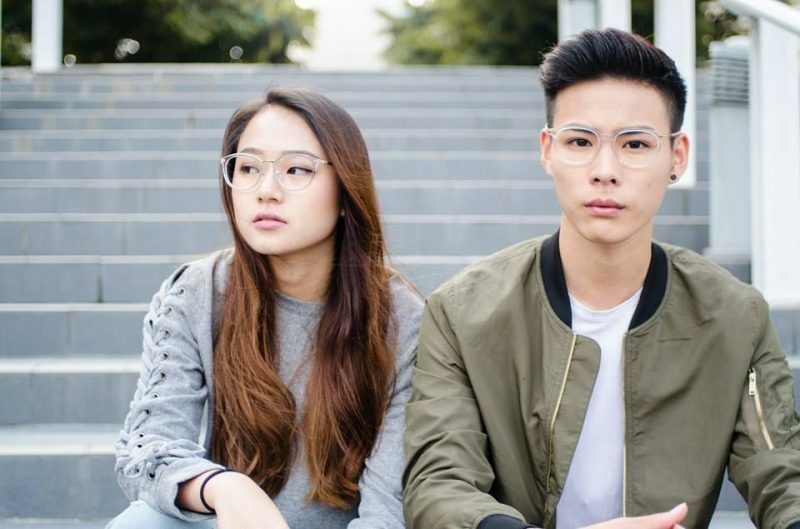 In a fast moving fashion era, this old eyewear trend gains popularity as Malaysians and the world love the cyclical change of modern fashion. 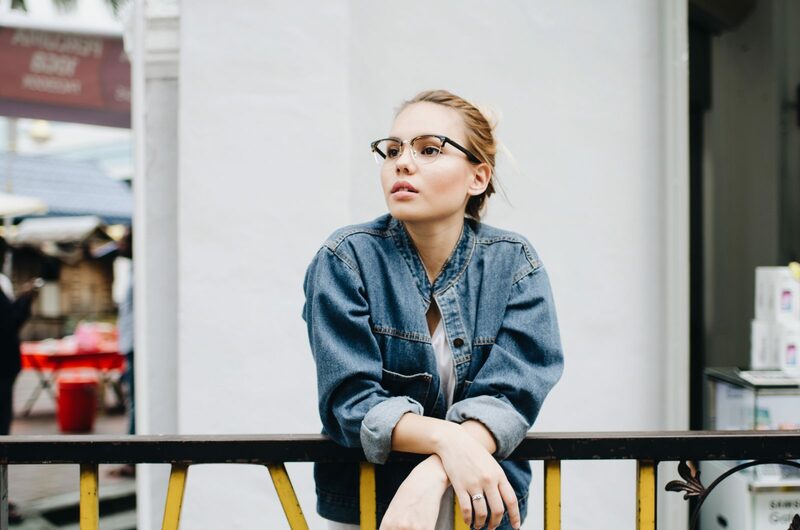 Being one of the most pursued look nowadays, there are 5 ways to pull off a cat eye glasses without looking quirky or weird. While cat eye glasses are mostly associated with women, it is still undeniable a favorite option even after so many years. Nobody could go wrong when it comes to vintage mode. 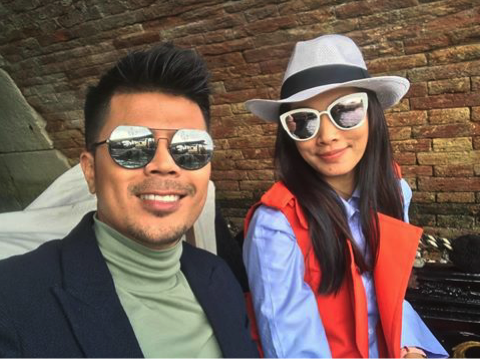 Malaysia Celebrity Eyewear Style: The beautiful Scha Alyahya was seen rocking that golden old school style on her honeymoon in Venice. Scha is smart to match the vintage Panama hat with an oversized catchy white cat eye glasses. The sharp, white curve on her glasses really make it stood out but she brilliantly blend it well with bright colours on her outfit. 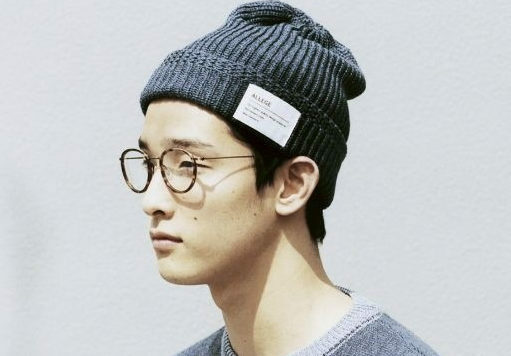 Playing with minimalist colour of white and denim with a touch of a cap and a cardigan wrapped around the waist is actually not much of work for you to rock this cat eye glasses style. You don’t have to appear with rugged clothes to bring out the urban look, instead get you an eyewear that brings you the versatility in you. Pottglasses Eyewear Fashion Tip: For fair-skinned people, it is important to choose a darker frame, so that your complexion contrasts the brighter fair skin and makes the style stood out so much better. Eyewear for work: Who knows that cat eye type of glasses could bring out the lady boss in you? 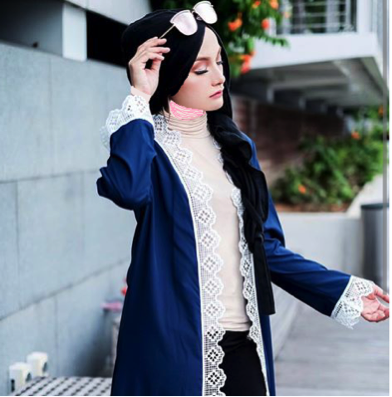 The fact that this type of eyewear brings out the independent character of you, you can easily portray yourself as a modern career driven lady with cat eye glasses. Pottglasses Eyewear Fashion Tip: Do not go for very edgy design. Look for something thin frame with mild cat eye design : we call it contemporary cat eye. While cat eye glasses are mostly associate with women, little do we realise how that gender stereotyping perception is no longer applicable in these days. As much as how this type of eyeglasses emphasize on sharpness of its edge, it actually helps to intensify the bold and professional look in men too. Pottglasses Eyewear Fashion Tip: Sharp corporate outfit of contemporary colours pairs with turtleshell really shine your way in any career you undertake. After working, take off the glasses and get ready to take over any big business. Bring out the modern day Marilyn Monroe in you. Sometimes, no matter how other people out there glam this eyewear, you got to do YOUR very own mix and match. 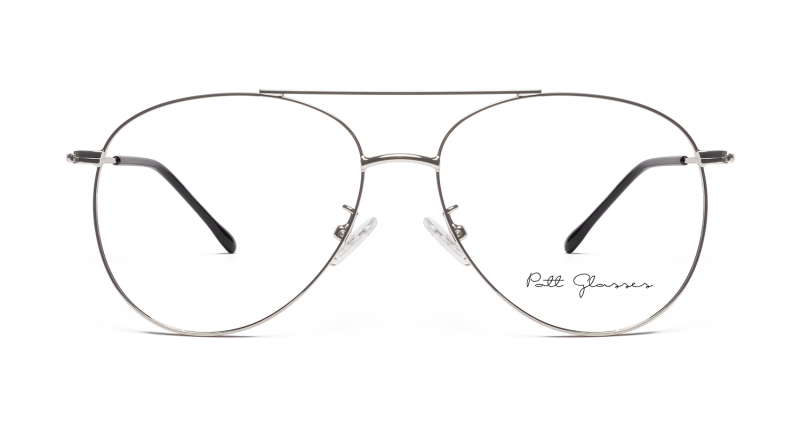 When this type of glasses makes its debut in the 50s, people just bravely embrace this cat eye glasses with anything in their wardrobe. Laces, embroidery or even colourful beads are most synonym with women, so why not experimenting on them once in awhile? This cat eye fashion is first originated by a great lady of power. Hence if you are wearing cat eye glasses, nobody is going to tell you you are out of the league or whatsoever. No matter which size you want to pick for yourself, make sure that it suits you and brings out the best image for you. Experts from flare.com quote an important point from Marie Wilkinson, Cutler and Gross’s veteran design director. She makes note on the importance of the glasses to flatter and conform to your face and not to conceal beautiful parts especially the eyebrows and cheekbones. As long as you are happy with the style, you will surely bring out confidence within you. Now take your leap and try out these cat eye glasses looks now! Short sightedness is Malaysia’s growing problem. 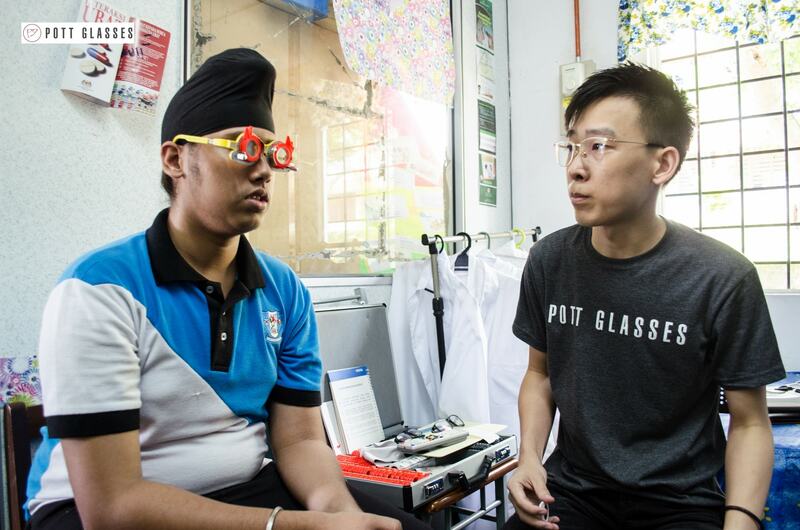 In 2017, new spectacle shops increase tremendously at popular places in Malaysia to cater to the demand for eye glasses. Short Sighted although stereotyped as being Nerdy / Computer Geek / Study too much, is now not the case unlike before; thankfully glasses is now considered part of the fashion. Shortsighted Tip – What to do when I have myopia? Glasses, one of humanity’s greatest inventions, allowing those with eyesight problem to have a crystal clear vision. In recent years, glasses are actually becoming one of the fashion accessory, thanks to talented eyewear designers. But still, who wouldn’t want a perfect vision? One of the most common vision impairment will be short-sightedness a.k.a myopia or in Malay language – rabun dekat – (where you can’t see objects in the far clearly). It usually starts early in a person’s life, so it will be best to take preventive actions from young. So let us take a look at some of the ways that prevent or slow down short-sightedness. Your reading material should be at least 30cm away from your eyes. Sit in an upright position while reading, not lying down (though comfy). Your TV should be at least 2 meters away. Your computer screen should be at least 50cm away. Make sure your room is well-lit for these activities (reading, watching TV, using computer). Rest your eyes by looking away and focus on far-distance objects every 30 minutes. You should not rub your eyes frequently. Being outdoor increases the chance of you looking at distance objects, hence relaxing the eye muscles. It is always best to detect a condition early and take preventive actions for it, same goes for short sightedness. The condition usually becomes apparent during school-age, so it is important for parents to check their child’s eyesight frequently. For me, I came to know I have myopia at the age of 11 when I can’t see the McDonald’s menu clearly, sad. Well, back on topic, if you discover the problem early enough, your child’s myopia might be well controlled and does not get worse. A progressive lens can help to maintain the myopia; it’s commonly known as myopia control lens. Although there are no evidence that good nutrient intake helps prevent short-sightedness 100%, but there are foods that will boost your overall eye health. Lutein and Zeaxanthin: which aids in absorbing harmful sunlight and blue light. These nutrients can be found in dark leafy greens like spinach. Magnesium: helps to ease the muscle in our eyes and also repairing protein. It can be obtained from peanuts, almonds, avocados, and whole wheat bread. Vitamin D: helps protect and boost corneal health, as well as lower eye inflammation and boost visual sharpness. Tuna, eggs, and cheese are a good source for it. Vitamin C: a powerful antioxidant much needed by our eyes. The cornea of our eyes also contains collagen, which is what vitamin C is known for boosting. Food rich in vitamin C are like citrus fruits, tomatoes, and broccoli. So now you know, the ways to prevent short-sightedness. Start doing it for yourself, your child, or the people around you. Nothing beats having a good eyesight without having to wear prescription glasses or contact lenses. After all, if you still wish to make glasses a part of your OOTD, you can always go on and buy a pair of trendy frames, the best of both worlds, I guess.